I am married with four children, six grandchildren, and one big (formerly stray) dog. As owners of farm ground in both Iowa and Illinois, and as a rabid duck hunter and avid bow hunter, we enjoy both the security of owning tangible investment property, as well as the fulfillment of enjoying the bounty of the land. Over a lifetime I have established thousands of acres of native tallgrass prairie, hundreds of acres of wetlands, and managed hundreds of acres of productive timber. With an eye for the best potential of farm and recreational property, and with ties to several farming communities, I can offer expertise in finding the right type of farm for your interest. And, if you're considering selling your ground, after having spent the last 25 years in medical device sales, I have buyers looking to find their own refuge in owning farmland. 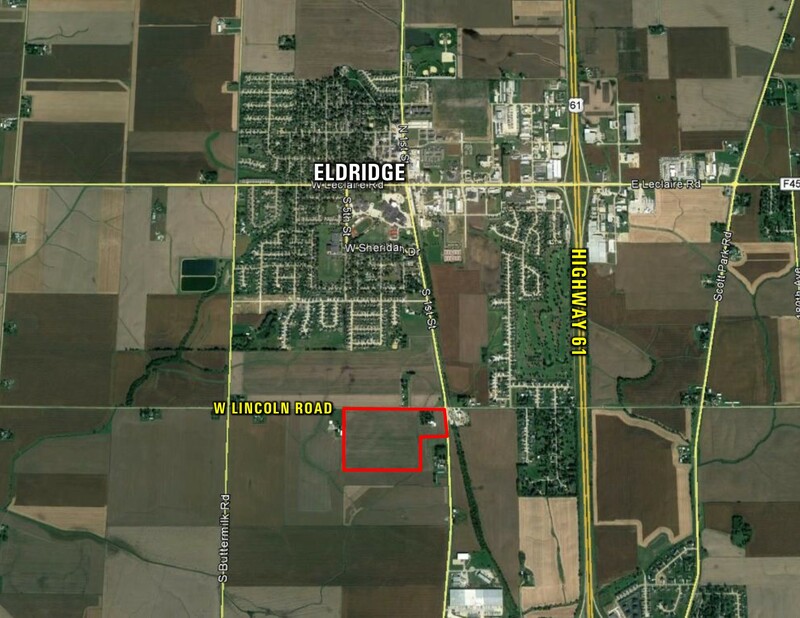 80 Acres m/l of prime development land within Eldridge City limits. Also included: 3 bedroom, brick rand home w/attached 2 car garage, 40x 12 Lean-to, 72x 44 Steel Building and 70x 46 Steel Building. 77.52 taxable acres all lying in the NW 1/4 of Section 23, Township 79 North, Range 3 East of the 5th P.M. Exact legal to be taken from abstract. South of Eldridge on South 1st St. on the corner of South 1st St. and West on 230th St. (W. Lincoln Rd.) located on the South side of the road.